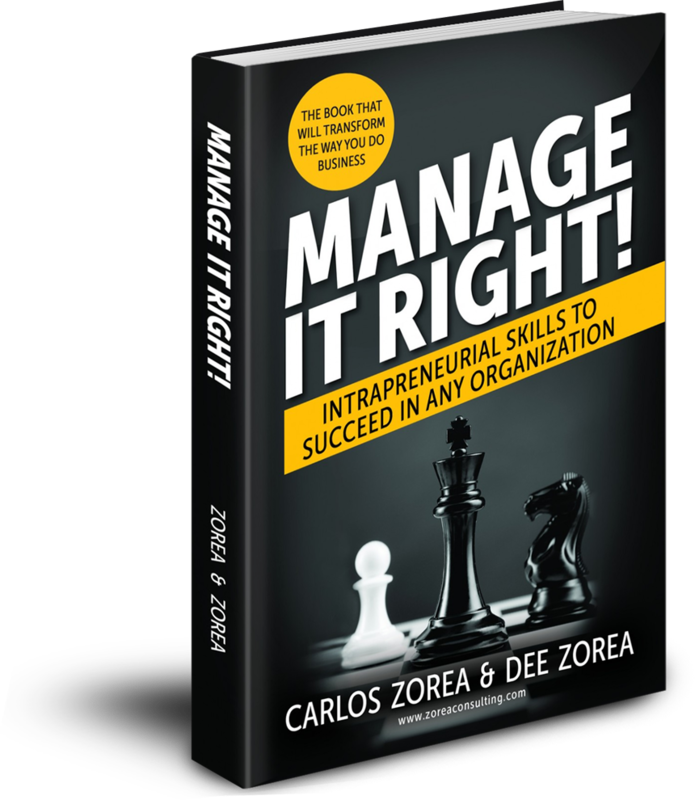 Zorea Consulting: Manage It Right! 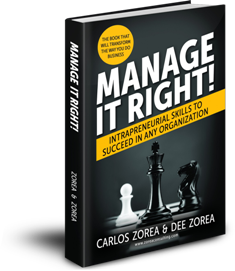 by Carlos Zorea & Dee Zorea » Is your bonus compensation system fair? Is your bonus compensation system fair? Have you ever observed that businesses owners and compensation decision-makers in organizations over-bonus too many of their employees, be they under-performers or equal-bonus recipients regardless of performance? This is unfair to both the employer and the employees. It is unfair to the employer if the company is paying too much in bonuses. Those bonus monies might be better invested in needed capital equipment, new personnel, new business initiatives, etc. It is unfair to the high-performing employees whose bonus compensation does not reflect their relative contribution compared to lesser-performing colleagues. Unfair bonus compensation is a morale killer — it tells high-performers that their contributions are not valued as much (relative to the lower performers receiving bonus) and it unnecessarily rewards the lower performers. Over time, higher-performers will seek other opportunities outside the company, and the company is left with over-bonused under-performers. Debt of loyalty: the owner feels loyal to an employee from years past and continues to bonus that employee, independent of recent contributions or the lack thereof. It’s why they stay: the owner feels dependent on her/his employees and fears losing them if s/he does not bonus them. Same-ol, same-ol: it is a matter of this-is-how-it’s-always-been-done approach, so don’t-fix-what-ain’t-broke. All of these behaviors can be reduced to the simple fact that the owner does what has seemingly worked in the past and does not know a better way to deal with bonus-related issues. As business and management experts, we help our clients address exactly these types of issues. A bonus compensation system needs to have a high level of fairness to both the employer and employee. To do so requires establishing certain bonus criteria in advance of an evaluation period. In other words, both employer and employee should come to a mutual understanding of the employee’s expected goals and objectives for the coming year and the employee’s activities should be appropriately tracked and noted. Otherwise, it becomes too much of a guessing game at year-end to figure out what happened over the last year. Combining both the employee’s achievements and an organizationally-aligned scoring model helps determine the “right” bonus amount, if any. The method is very easy to use and has been cherished by our clients because of the fairness to both the employer and the employee.